23ABC’s Sports Director sits down with coach Rod Barnes for Episode 23 of ‘Runners Recap. Cal State Bakersfield season came to an end on the road with a loss to Green Bay in the quarterfinal of the CIT and Barnes will talk about the latest news on Jarkel Joiner transferring the program. 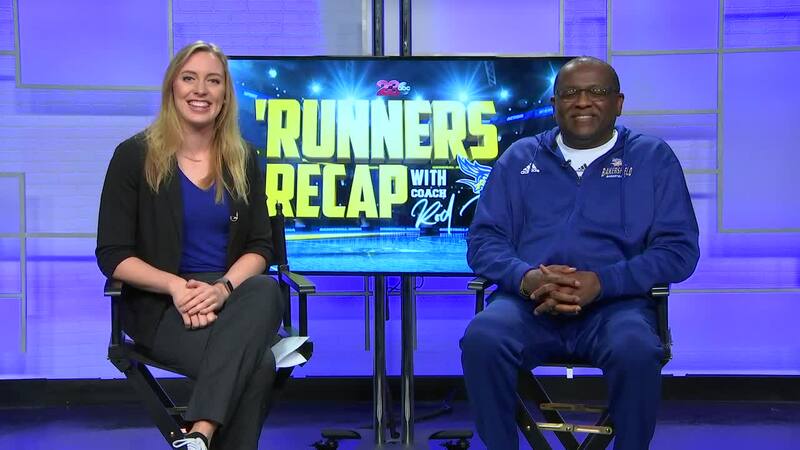 BAKERSFIELD, Calif. — Episode 23 and the season finale of the 'Runners Recap with Rod Barnes. A weekly segment on 23ABC where Kari Osep sits down with head coach Rod Barnes of the CSUB men's basketball program. Barnes opened up about Jarkel Joiner's intentions of leaving the program by entering the transfer portal and what that means. He also wrapped up the season and talked about what he's looking forward to with the team he has in place for next year.